Big or small, we haul it all. 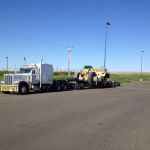 Our trucking company is your one stop solution to any hauling challenge. We have the knowledge and expertise to ensure a delivery that is safe and on-time. 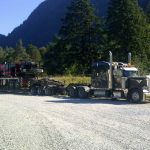 Our drivers understand the transportation obstacles and challenges of over dimensional equipment hauling and freight shipping. 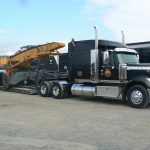 If you have a crane, front loader, backhoe, container, generator, log loader, or any heavy industrial equipment that needs shipping, M.D. Transport can deliver it. 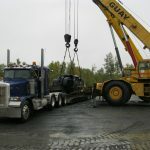 We offer competitive priced, damage-free over dimensional transportation services across North America. Our clean and large fleet of trucks and trailers offers our customers the most cost effective way to move their freight to its final destination. We are committed to being honest and upfront with our customers and employees, with respect to diversity, new ideas and customer loyalty. 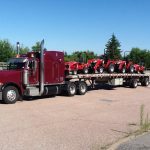 Within the last 7 years we have expanded our fleet to include specialty trailers capable of hauling over dimensional / over-size loads. The year 2006 was the main starting point for the RGN (removable goose neck) service; we have been quite successful with these float moves. 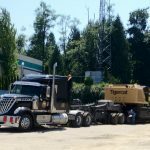 Most recently, we have moved a number of 850 Hitachi Excavators from the Port of Baltimore to Mississauga, Lively and Timmins. 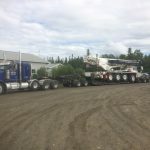 We have trucked many RT75 & RT100 Tadano cranes from the Port of Tacoma to various locations in Canada and several 870 Tigercat fellerbunchers and logloaders from Ontario to Alberta, British Columbia and Saskatchewan. An ATF220 was also carefully hauled to Happy Valley Goose Bay, Newfoundland. 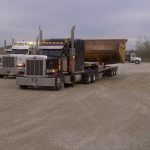 Presently, with continuous hard-work and dedication, the company has grown to a fleet of 12 trucks and many trailers: 20 two-axle flatbed trailer, 5 step-deck trailers, 14 b-train trailers, 2 six-axle flatbed trailers, 4 seven-axle floats, 4 eight-axle floats, 3 nine-axle floats and 2 eleven-axle floats, not to mention it’s 20 owner/operators with their trucks and trailers. 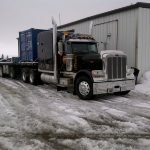 With many years of experience in the trucking world, M.D. 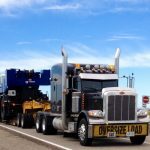 Transport has grown progressively into a truckload service catering to all your transportation needs, specializing in over-sized / over dimensional loads. Our dispatchers handle everything from route planning and permitting, to escorting and delivery. Contact M.D. 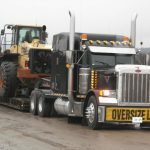 Transport now for all your oversize freight transportation needs. Give us a call and let our team of experts help you deliver your oversized shipment. We strive for continuous improvement in quality, which is a vital component in business growth. We have a long history of quality initiatives designed to improve customer satisfaction. Several of these initiatives focus on providing on-time delivery and damage free services to our clients. M. D. Transport’s purpose is to work hard in order to relate to their customers and to understand their needs. We strive to provide the best service in the area, so our business may grow with pride. M.D.Transport provides safe and reliable transportation services to a diverse group of customers throughout the United States and Canada. We provide customer-oriented solutions to a busy trucking industry, all the while offering value and industry-leading service. We will do everything we can to meet your expectations, which is evident in our repeat customer base. Your business is very important to us! 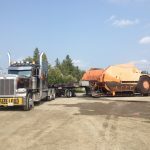 M. D. Transport is a trucking company servicing Canada and the United States, hauling all different type of commodity, shipped on all types of trailers. 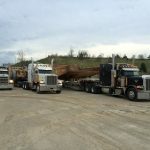 We haul almost everything: wood products, machinery, steel, mining equipment, agriculture machinery, building products, industrial painting products, and many other commodities. 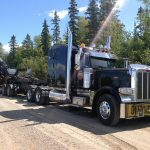 Within the last 7 years we have expanded our fleet to include specialty trailers capable of hauling over-dimensional size loads. Our success with these new trailers has been increasing at a rapid pace due to the number of repeat customers and referrals. We are committed to being honest and upfront with our customers and employees, with respect to diversity, new ideas and customer loyalty. There are no hidden fees or surcharges. Customers call M.D. Transport because we operate a well-maintained fleet which provides our customers peace of mind knowing their shipment will arrive safe and on time. We also offer pilot car services. M.D. Transport uses pick-up trucks to pilot shipments. 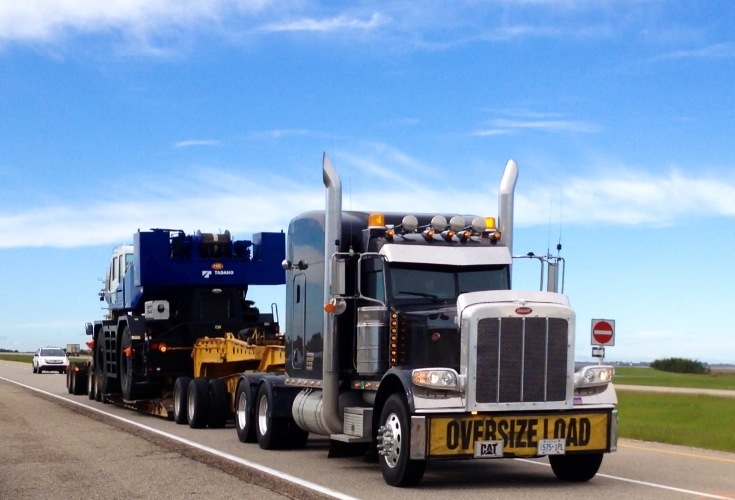 Your oversized load will be delivered safely by using pick-up trucks to ensure visibility. 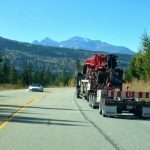 All our vehicles are equipped with banners, high-visibility flags, GPS units and all the necessities to haul your over dimensional load. If you have any questions about our pilot car service, please don’t hesitate to call. 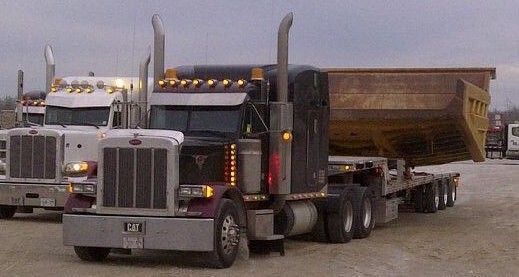 MD Transport is set up to haul your flat deck freight, FTL or LTL transportation across Canada and cross border. Where you need it when you need it. M.D. Transport is your one call for all your flat deck freight. With a wide range of flat deck trailers, we can meet almost every need imaginable. 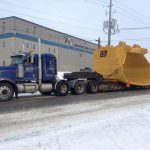 We have the transportation resources to ship anywhere in North America. We have single and team drivers, offering Less Than Load (LTL) and Full Truck Load (FTL) shipment services. We are cross border flat deck freight transportation specialists. The bulk of our customer’s freight shipments are between Ontario and USA. 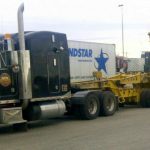 Because we are a bonded-carrier in Canada and the USA, we can move goods to inland offices in order to have the flat deck freight shipments released. MD Transport makes sure your freight will not be held up at the border. Ensuring your flat deck freight shipment will be delivered on time. If you need freight moved from one location to another, throughout North America, MD Transport is your number one choice. 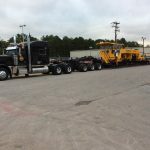 We have the right equipment, matched with the knowledgeable staff to ship your freight, ensuring you are stress-free throughout the whole transportation process. Contact M.D. Transport now for all your Flat Deck Freight Transportation FTL or LTL Shipments Cross Border Bonded Carrier Service. We’ve got you covered.